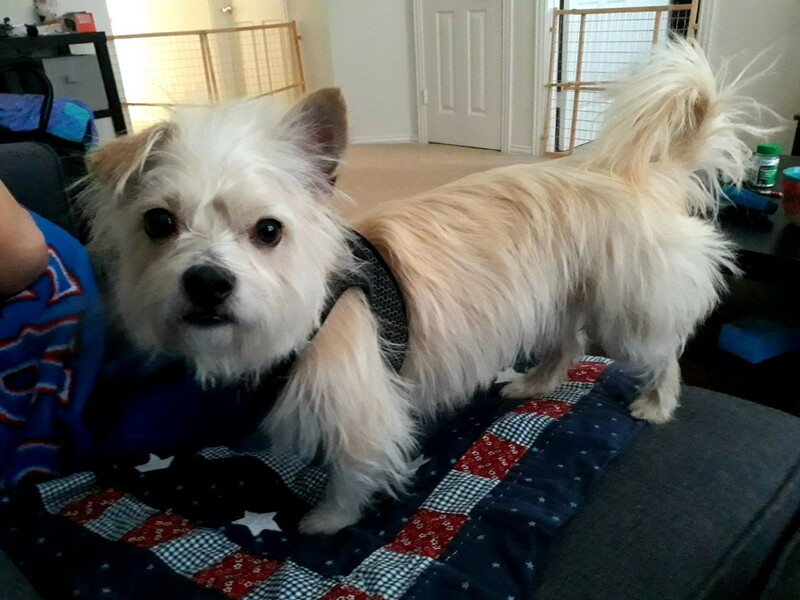 Wally is Available for Adoption! ADOPTED! 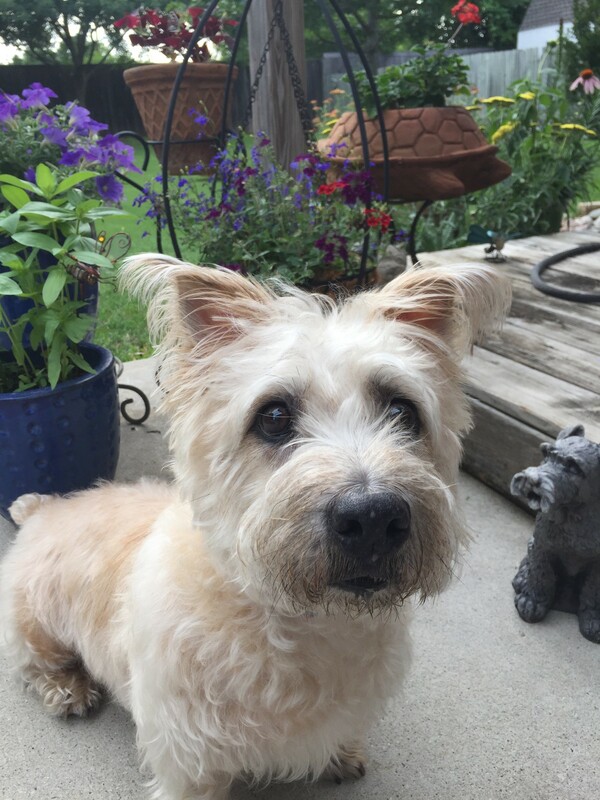 Hello, my name is Wally and I’m a Cairn Terrier! 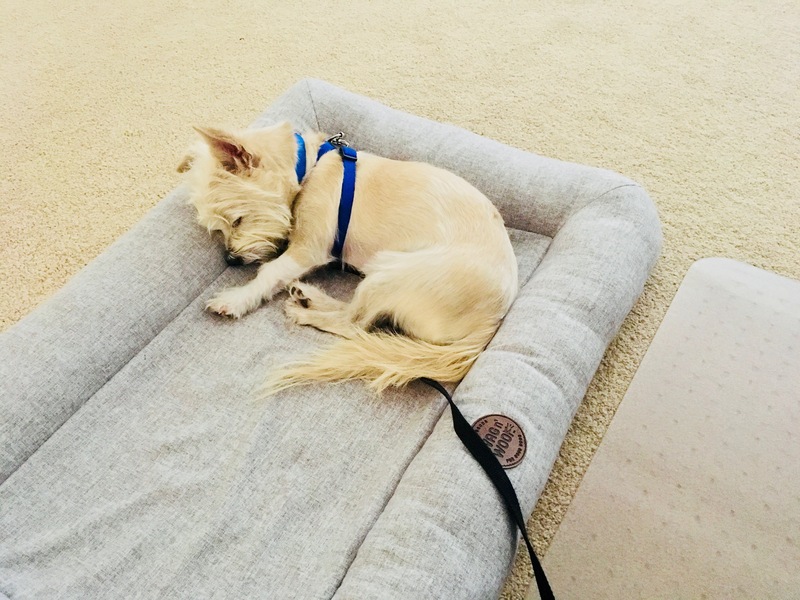 After being found on a busy street, LSWR rescued me from the local shelter and found me a relaxing foster home to live at until I find my forever family! I’m about 3 years young and weigh in at a light 13 pounds, which makes me a perfect size for snuggling on someone’s lap. I am also vaccinated, neutered, and microchipped. It took me a while to get used to my foster parents, but now that I trust them, I absolutely love spending time with them. My favorite activity is licking my foster mom and dad’s toes when they get home from work, even though they think it’s “gross”. While I have a very loving personality 99% of the time, I do sometimes struggle with aggression (usually when a human tries to take my toy). For the last few months, I’ve been working with a trainer to iron out some of these issues, and now I’m doing so much better! However, it would still be best if I live in a home without small children. 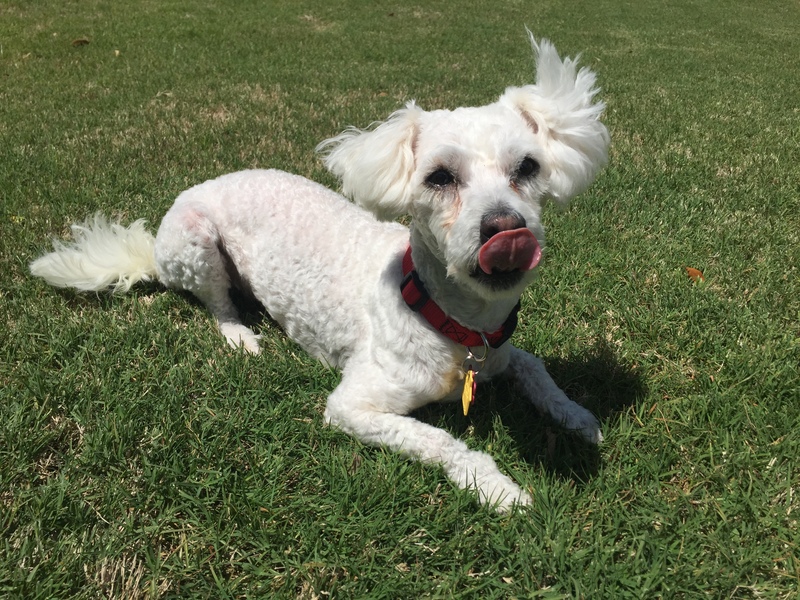 I would really love a family who will take the time to get to know how sweet and smart I am. Once I get to know someone, I love them from the very bottom of my heart! I also need a family that is willing to be patient while getting to know me, and be willing to follow-through with my training for years to come. If I sound like the right boy for you, please complete an adoption application. I know my right family will come along. It’s North Texas Giving Day!! Thanks to all of you who have helped save all of the amazing dogs that have come through our program! We couldn’t do it without your support. Today is North Texas Giving Day and we are excited about participating this year! 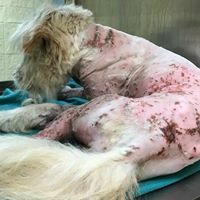 If you would like to help, NTGD will match a percentage of our donations. Donations are accepted until midnight tonight. Here are a few of the special pups your donations have helped!! 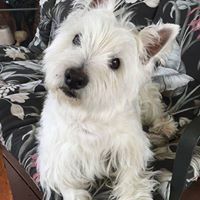 It is with great sadness that we let you know of the passing of Tom McElroy, a Lone Star Westie Rescue supporter and animal lover. 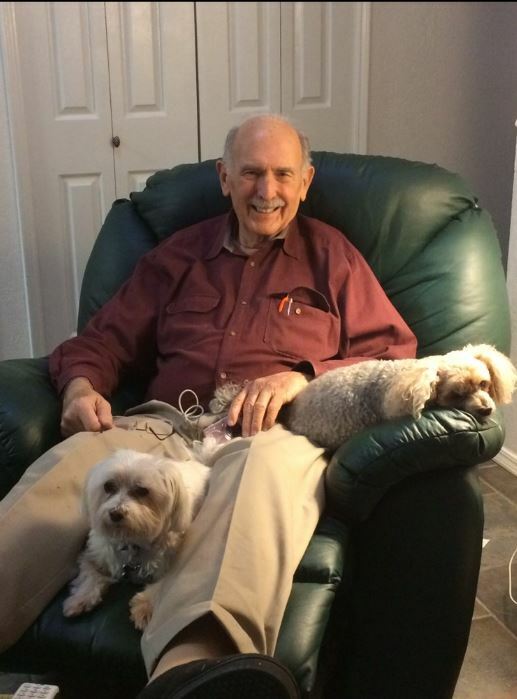 Tom loved everything about cats and dogs and had a very special bond with his Yorkiepoo, Ben. Tom fell in love with Ben the minute he saw him and showered him with love and attention from that day forward. Every morning Ben would patiently wait for Tom to take him for a ride in his car around the block. It didn’t matter what the weather was, those two were going to take that ride! The two of them could often be found taking an afternoon nap together in Tom’s big chair. They were never too far from each other. Tom is pictured here with Sam (the family’s Maltese whom he also loved very much) and Ben. Tom was a very special man. He will be missed, but never forgotten. 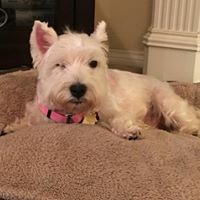 In lieu of flowers, the family has requested that donations be made to Lone Star Westie Rescue. Please go to our website, www.lswr.us if you wish to make a donation. Hi folks! I’m Charlie and I’m brand new to LSWR. I was picked up as a stray and taken to a shelter who reached out to LSWR. 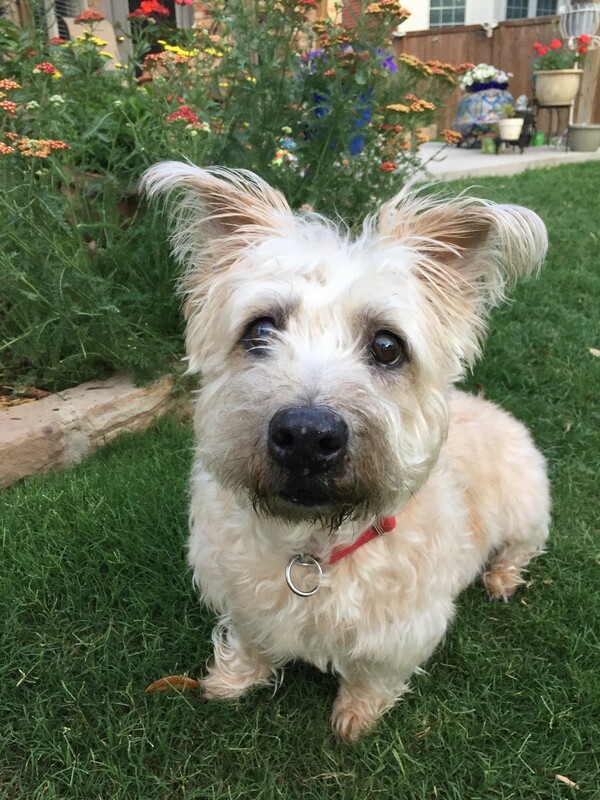 My face looked “Westie-ish” so they labeled me a Westie mix and here I am! 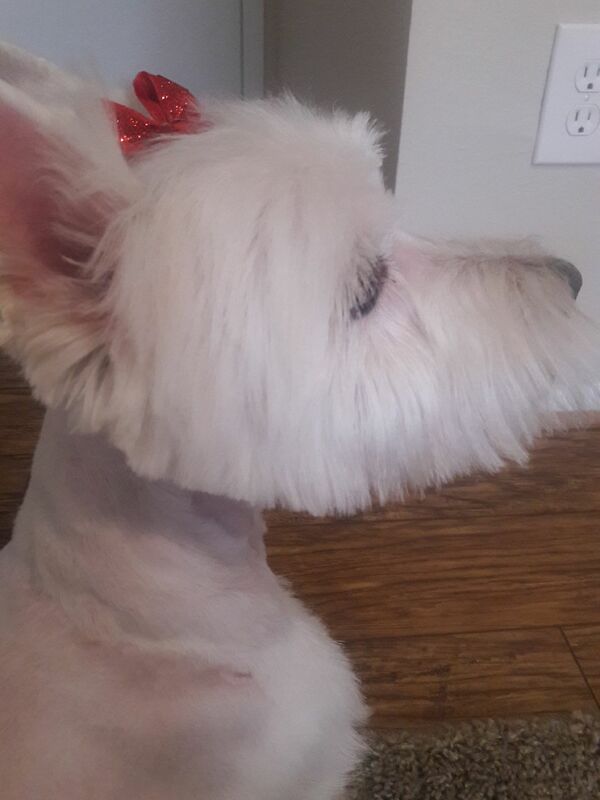 I may not have all of the Westie traits, but I have a great disposition and am so very sweet. 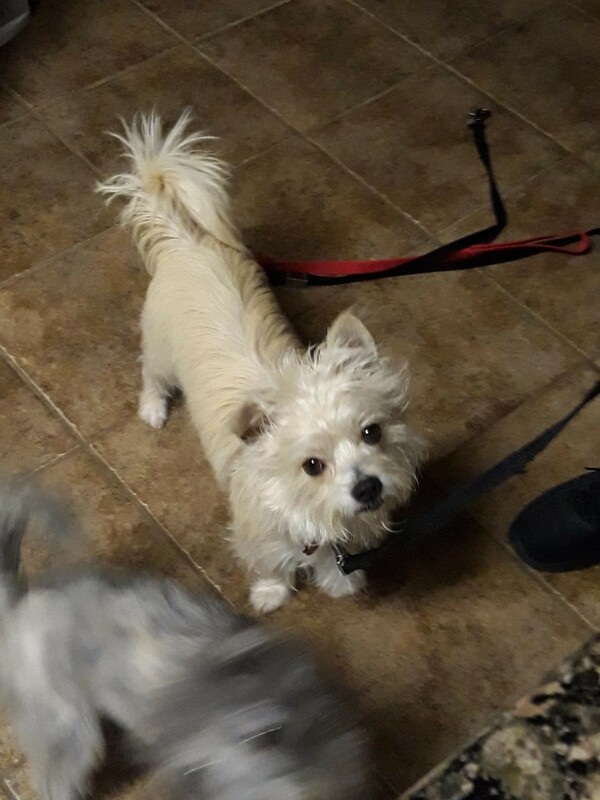 I am about 4 years old, shots are current, microchipped and neutered. 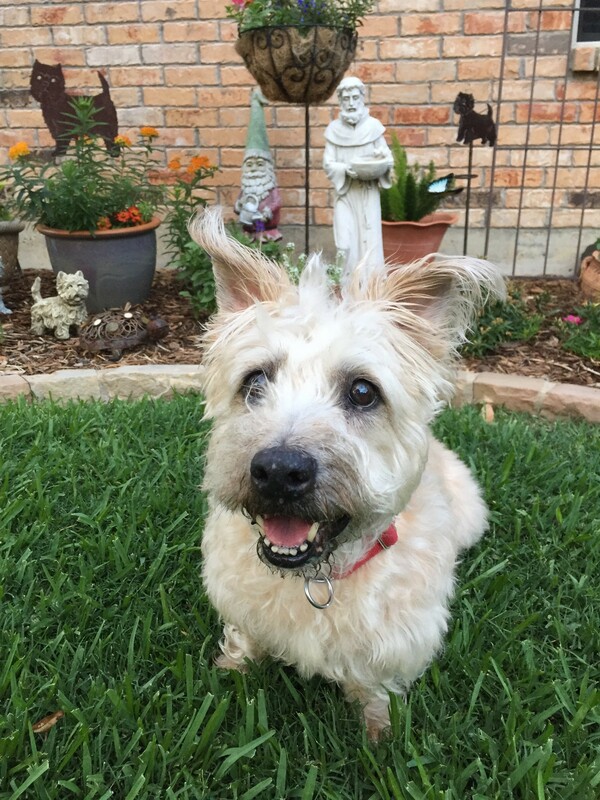 I walk great on my leash and I get along fine with the resident Westies in my foster home. I even ride great in the car on road trips. I did great with my bath and a mini-grooming to clean up my face. 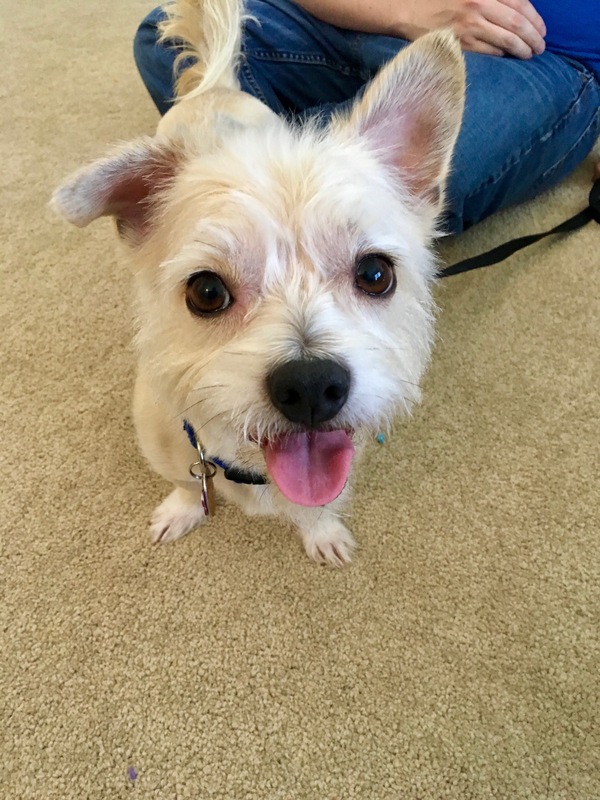 So far, my foster mom says I am potty-trained and a super sweet foster. The only thing she’s noted is that I might be a little escape artist and find a way to try to escape but she has her eye on me. That could explain how I ended up a stray but no one ever came looking for me. I am looking for a wonderful family to call my own, and I promise you will love me at first sight. I would be fine in an apartment or a home with a secured fenced in yard. The shelter even said I was fine with the resident cats so you see, I’m all that and a bag of chips! All I need is a really super family for super cute little me. 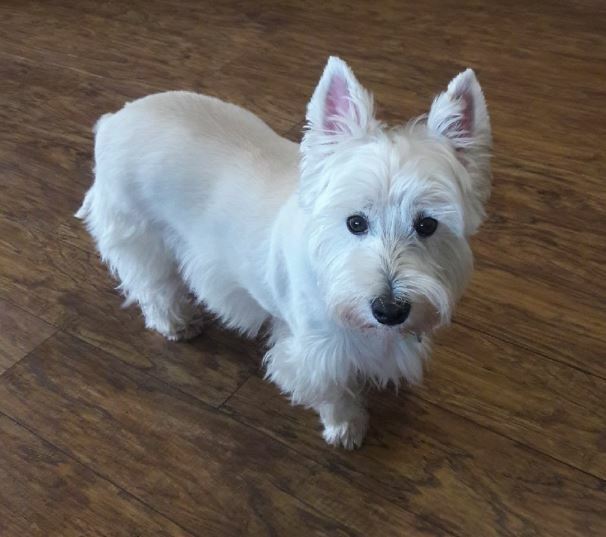 My name is Daisy Mae and I am a beautiful Westie girl looking for a wonderful family to adopt me. My world just turned upside down because my Mom recently passed away and I’m very sad. 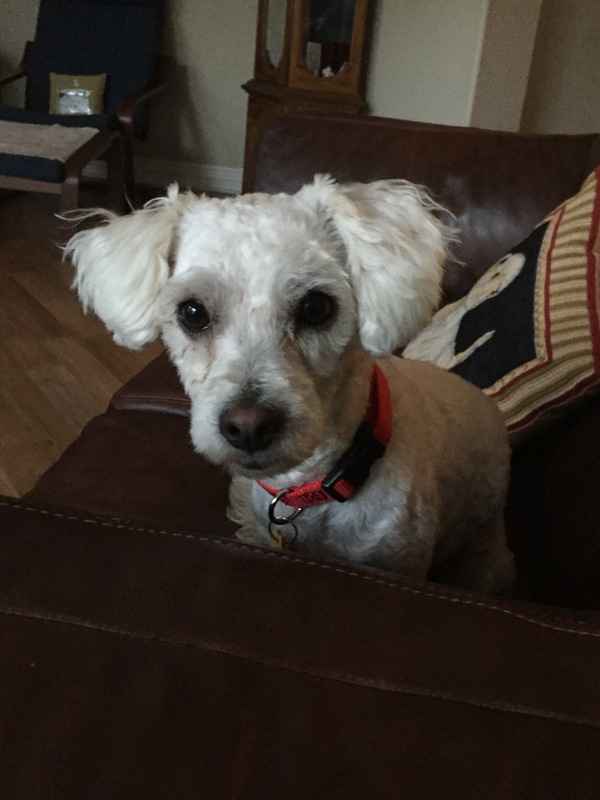 My Mom’s family reached out to LSWR in hopes of finding me another wonderful home. My mom was the only family I have ever known and she took excellent care of me!! Here’s a little bit about wonderful me. I just turned 9 years April 2018 and I’m in excellent shape. 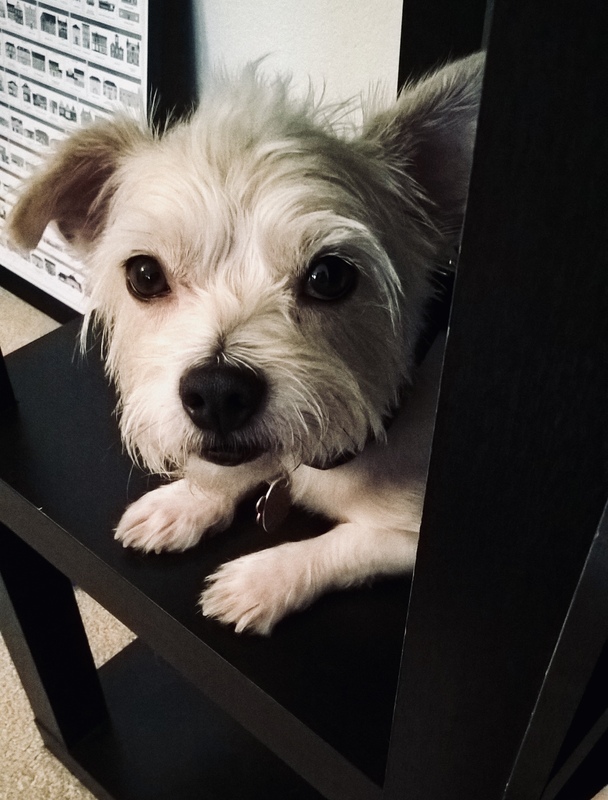 I’m spayed, vaccinated, and just had a dental in February. 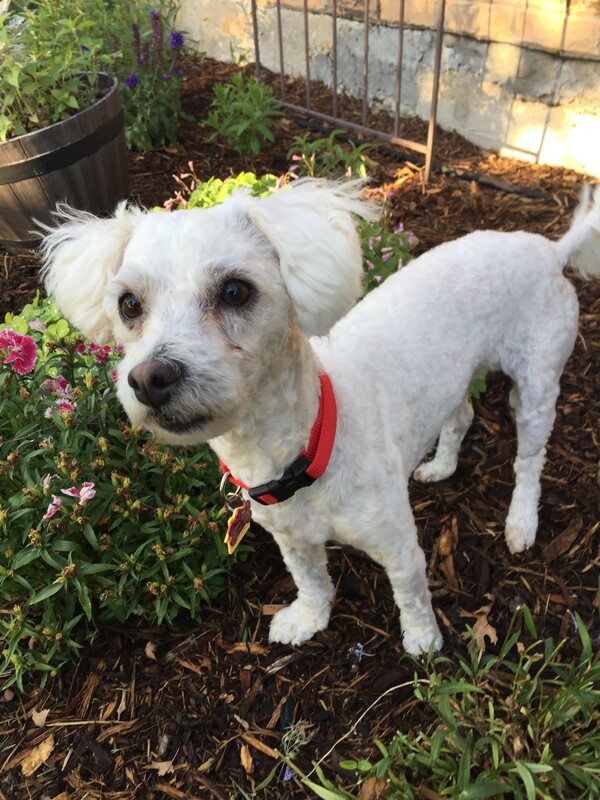 I am a very playful and very loving gal and love to greet everyone I meet. I like to sleep in my crate and I have full roaming privileges because I’m very well mannered. I like to play with toys and I ride well in the car. I have great experience walking on a leash but don’t let me off leash because I’ll be in the next county!! I love older children and love playing with them. 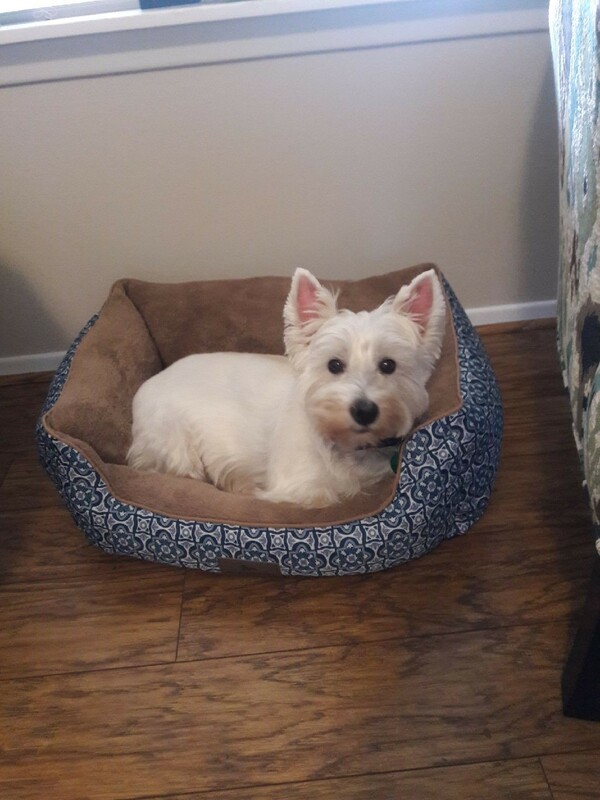 Since I’ve grown up being the only Westie in the home, I would prefer a home where I would still be the one and only pup in the house. I would love to have a nice fenced in backyard and a family who has time to love and spoil me. Trust me, I will play and play if you have the time. If you think I’m your gal, submit an online application. I will be on the lookout for your application, so send it in soon! 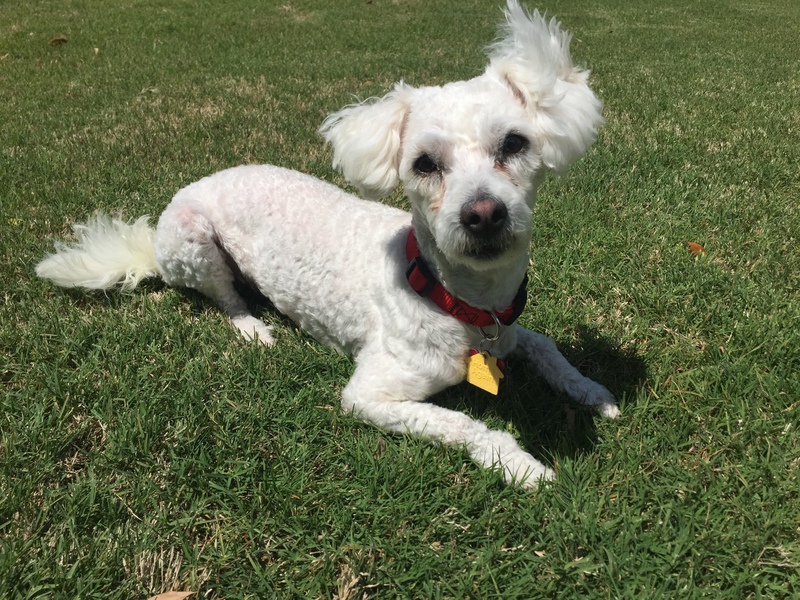 Hi everyone, my name is Toodles, I know funny name for a girl right but it fits me just right. Not sure why I ended up in a local shelter, I have a microchip but I guess no one wanted me. I huddled in the back of cage, waiting and waiting. The shelter contacted LSWR to see if they’d help an 11-year old girl like me. And then suddenly I heard someone tell me that it was going to be okay because LSWR wanted me and they would find me a great home! 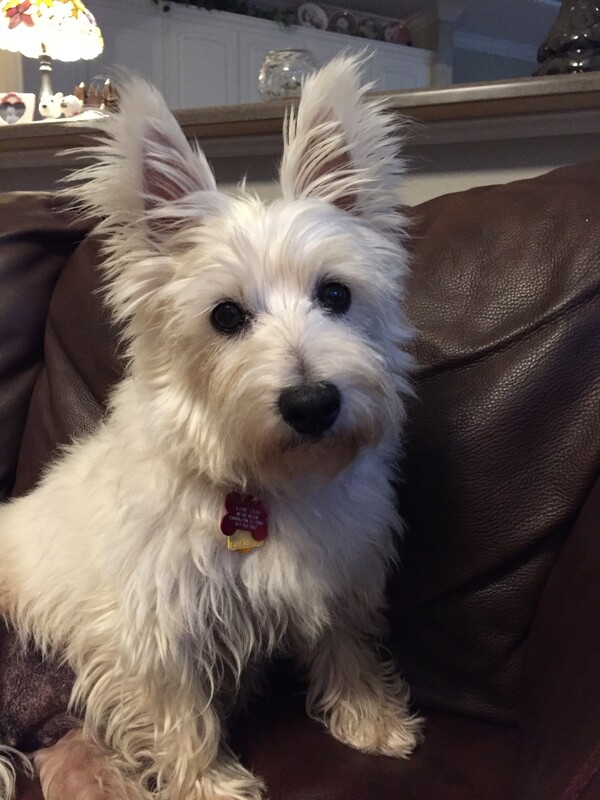 As you might guess, I am not a Westie….I may be a Wheaten Terrier mix. I am a super happy girl and when I get excited to see you, I wiggle my tush & nubby tail. The vet staff said I was super sweet and a very healthy girl. 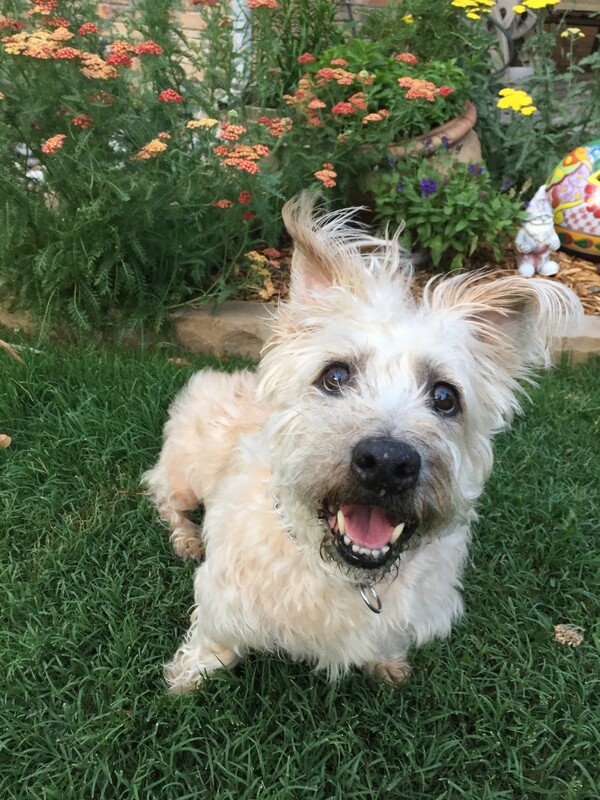 I am estimated to be 11 years, spayed, microchipped and my shots are current. If you are looking for a sweetheart of a girl who is very grateful for her second chance, then I’m the one. I am house trained and walk great on a leash. I love to hang with humans and just lay on the floor by your feet. I’m easy going, laid back and love going for walks. 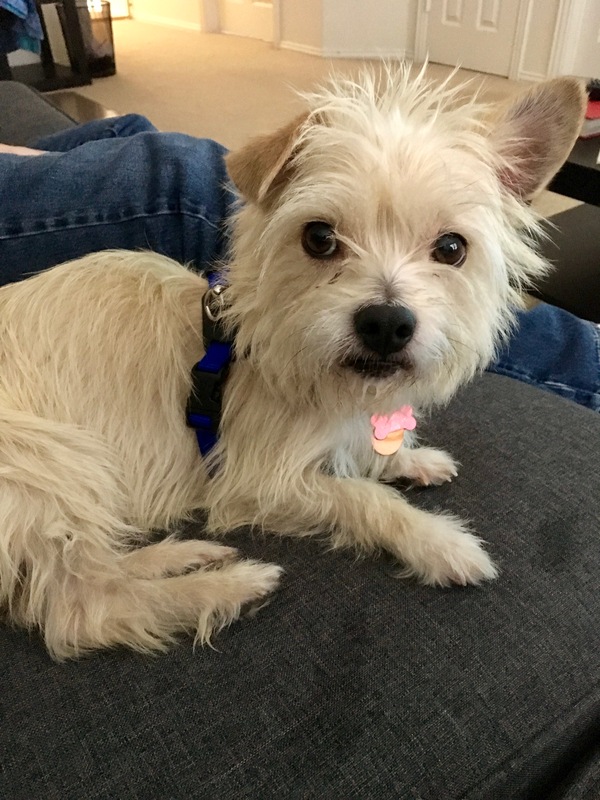 I’m in a foster home with a Westie gal and a male Westie/Schnauzer and I’m doing okay with them but I would really enjoy a home where I’m the only pet. Please visit lswr.us, complete an application and ask for Toodles. Hope to hear from you soon!